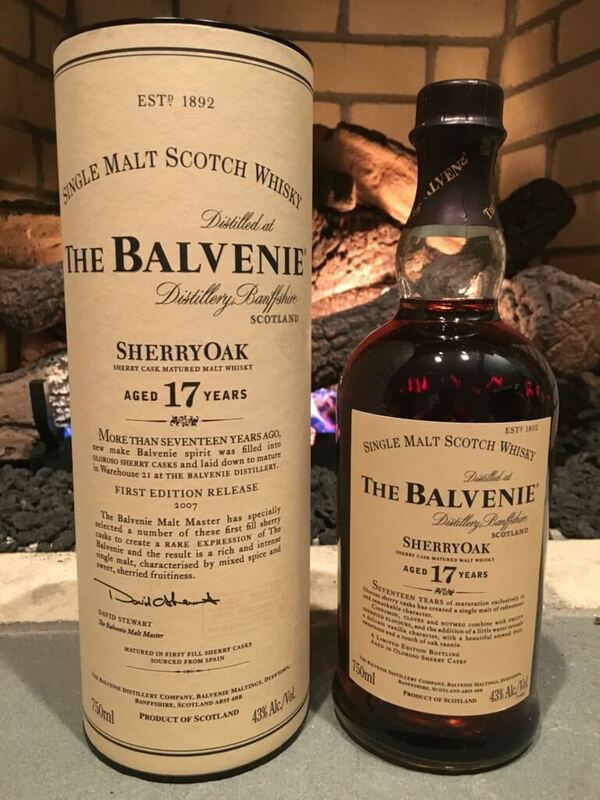 The Balvenie’s 17 Year SherryOak was their 2007 17 Year release and it was the first time a 100% sherried Balvenie was bottled by the distillery. This was high up on my wishlist for a long time and I eventually finally found someone willing to trade one away. As it was bottled in 2007, this whisky was all distilled in 1990 or earlier and was matured in 100% first fill Oloroso Sherry casks. Balvenie’s 17 year releases never disappoint. Would this be an exception? Finish Long, spicy, not dry at all. Honey and oak are the last to fade. Oh, that Balvenie is just soooooo typical. Overall Thoughts I think I would have liked this a lot more if I tried it before some other wonderful Balvenie 100% sherry offerings. That said, this is still a solid dram and certainly worth trying as it has some maturity to it.